Audi and VW extended warranty provided as part of timing chain class-action settlement. 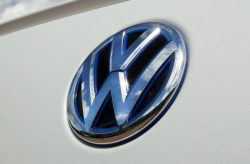 January 3, 2019 — A Volkswagen timing chain warranty extension is included in a settlement agreement between Audi and VW owners who filed class-action lawsuits over the timing chains and tensioners. According to the settlement, the timing chain tensioners, timing chains, sprockets, guide rails and tensioning rails are included in the timing chain systems that cause total failures of the engines. 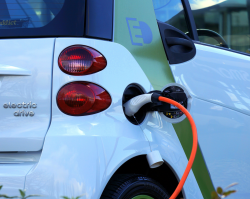 Following a December 12, 2018, fairness hearing, the judge gave approval to the settlement agreement which provides the possibility of multiple benefits for the following models. 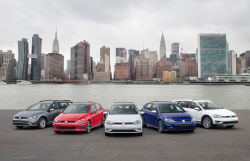 As part of the settlement agreement, affected Audi and Volkswagen customers will receive extended "new vehicle limited warranties" to cover repairs or replacements of the timing chains and tensioners. However, there are conditions for those repairs and replacements. The timing chain extended warranty applies only for work performed by an authorized Audi or VW dealership during a period of 10 years or 100,000 miles, whichever occurs first. The extended warranty period begins from the date the vehicle went into service and the customer must submit to the dealership proof the owner adhered to the "Vehicle’s Maintenance Schedule." According to the settlement agreement, the warranty extension includes all parts and labor required to repair or replace the timing chain and timing chain tensioner. The timing chain extended warranty also includes a provision, subject to sliding scale percentages, to cover a percentage of the cost of repair or replacement of a damaged or failed engine. 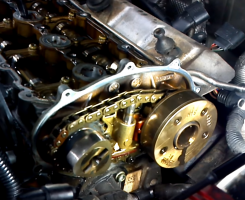 As with the timing chain replacement and repairs, there are conditions that must be met concerning the engine work or replacement. The repairs or replacement must be performed by an authorized Audi or VW dealer if the engine was damaged or failed directly due to the timing chain or tensioner within the same 10-year/100,000-mile extended warranty period from the date the vehicle went into service. However, the engine repair and replacement offers are subject to the following time and mileage limits. An authorized dealer will make the determination if the timing chain or timing chain tensioner damaged the engine. According to the settlement, there will be no reimbursement for out-of-pocket costs of any repairs or replacements to the timing chains, tensioners or engines if the work was performed more than 30 days after the settlement notice date by anyone other than an authorized Audi or VW dealership. You must submit your claim by January 25, 2019, or visit TimingChainLitigation.com to learn more about the settlement. The Audi and VW timing chain class-action lawsuit was filed in the U.S. District Court for the District of New Jersey - In re: Volkswagen Timing Chain Product Liability Litigation. The plaintiffs are represented by Carella Byrne Cecchi Olstein Brody & Agnello, P.C., Kessler Topaz Meltzer & Check, LLP, and Kantrowitz, Goldhamer & Graifman, P.C. CarComplaints.com has owner-reported complaints about the vehicles included in the timing chain tensioner class-action lawsuit.